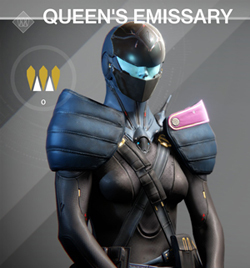 The Queen's Emissary is a reputation faction and vendor in Destiny. This is a timed event and the vendor provides faction-related gear that requires Queen's Guard Ranking. Players may increase their Queen's Guard Ranking by defeating Reef Enemies. 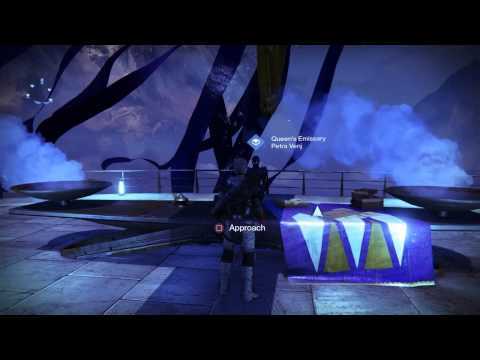 "An Awoken gift from the Reef, marked with the Queen's crown." One throne beneath the howling dark.